Dogs Trust, the UK’s largest dog welfare charity, will be delivering a record number of gifts to homeless people with dogs this Christmas as requests from homelessness projects across the UK have increased by more than 12%, up from 1050 parcels last year to 1180 this year. 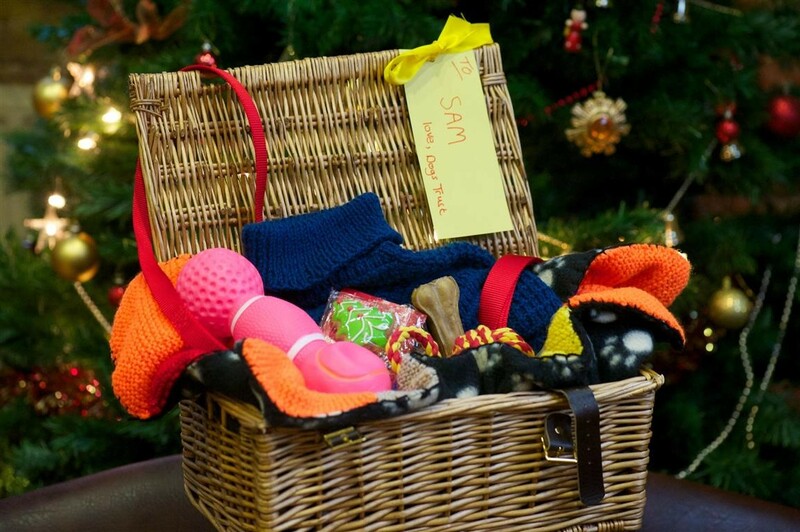 As demand for the Christmas hampers has doubled since 2010, Dogs Trust is asking the public to spread a little Christmas joy and buy a present for a dog in need. The charity will be delivering gifts to homelessness projects in Wales for more than 90 dogs. Every Christmas, through its Hope Project, the charity brings some festive cheer for homeless dogs by distributing canine hampers of collars, leads, coats, treats and toys to dogs and their owners. The charity set up the unique Hope Project in 1995 to support dogs whose owners are homeless or living in temporary accommodation and to offer free and subsidised veterinary treatment throughout the year. As well as offering a subsidised veterinary programme and distributing Christmas hampers, the Hope Project encourages homelessness hostels and day centres to accept clients with dogs by helping them put in place practical guidelines. Homelessness organisations or veterinary surgeries interested in finding out more information about the Hope Project should call Dogs Trust on 020 7837 0006 or email hopeproject@dogstrust.org.uk. Dogs Trust is the UK’s largest dog welfare charity and cares for over 16,000 stray and abandoned dogs each year.